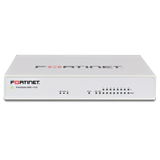 Reduce the need for additional wireless access points by integrating a high-bandwidth “fat-client” into your FortiGate with the FortiWiFi 60E. It’s also a great option to secure mobile devices in BYOD environments with automatic device identification and customizable access and security policies. 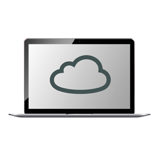 VDOMs on the FortiGate/FortiWiFi 60E let you segment networks to enable guest and employee access, or protect things like cardholder data. You get the flexibility to match your business needs and meet compliance standards like PCI and HIPAA.